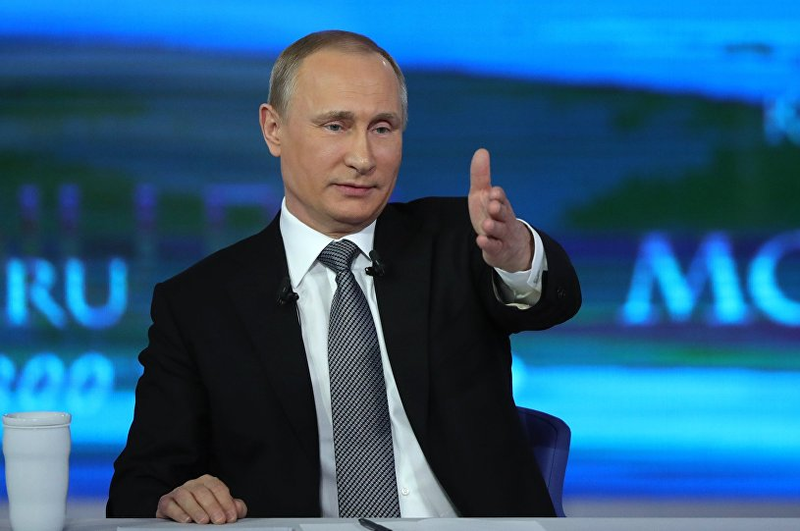 Vladimir Putin will spend four hours fielding questions on live TV today in the annual Direct Line with Vladimir Putin. While the event is designed to highlight the openness of Russia’s democracy, the telethon-meets-town-hall extravaganza is highly choreographed; Kremlin advisers hand-pick questions and orchestrate the show, which is streamed by Russia’s powerful state TV networks. While Putin’s critics have moved online, TV remains by far the more powerful of the two vehicles. Three-quarters of Russians watch national channels regularly, with three state-owned stations reaching 90% of the highly dispersed population. In contrast, Russia’s most popular social media site—VK—is only used by a quarter of the population and its messaging is almost impossible to control. A former intelligence official, Vladimir Putin knows how to project an image and will do so effectively in today’s broadcast. The event will start at 0900 GMT. An English translation will be live streamed on RT.